Isaacs and Associates provides timely, affordable accounting services to small- and medium-sized business, estates, trusts, and individuals. Our practices are based on the solid, sound principles of honesty, confidentiality, and integrity. (302) 761-9777. Minimize your tax liability through careful planning. The first step is to call our office. For the past six years Isaacs and Associates has acted as independent auditors, as well as financial and tax advisors to individuals, businesses, government, and the not-for-profit community. We are Certified Public Accountants--true professionals in our field, distinguished from other accountants by stringent licensing requirements including a rigorous two-and-a-half day national examination. We also meet or exceed all experience and other requirements in order to qualify for CPA certification in the State of Delaware. In addition, Isaacs and Associates is governed by a strict code of professional conduct. The hallmarks of our practice are: independence, objectivity, and integrity. Kindly call our office to learn more -- (302) 761-9777. Our financial reporting and bookkeeping services include audited, reviewed or compiled financial statements, cash flow statements, budgets and projections, financial statement preparation on a monthly, quarterly or annual basis. Our tax services include the preparation of corporate, partnership, fiduciary and individual tax returns plus audit services. We also offer tax planning advice which involves reviewing your tax position and recommending ways to achieve maximum benefits. We also offer corporate and business advisory services which include business valuation for acquisition or selling purposes, corporate acquisition analysis, and new business startup consulting. Our years of working with computer-base financial systems and our knowledge of the wide variety of accounting software enable us to advise businesses on a particular package and offer training to employees. 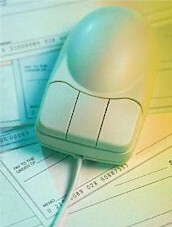 Many of our customers use QuickBooks and several of our employees are experts on this software. We chose this field of service in order to allow YOU to focus on YOUR business. Please call our office at (302) 761-9777. It would be our pleasure to serve you, too. Payroll admin-istration, distribute paychecks, pay your taxes, report new hires -- Isaacs and Associates has a solution for you. Call (302) 761-9777 for help! Estate settlement is a major focus of our practice. Don't let your estate be unfairly burdened. Our knowledgeable, certified public accountants work with you one-on-one to obtain maximum value for your estate. © 2003 Isaacs & Associates, Inc. All rights reserved. Page design by I l l u m i n o v a.